Ancient Italian goddess of the woodland. 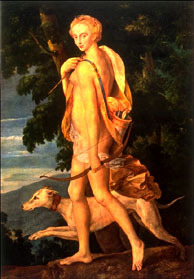 She was associated with the Greek goddess of the woodland, Artemis, and so took on other aspects of Artemis' worship, including being looked on as the personification of the moon. 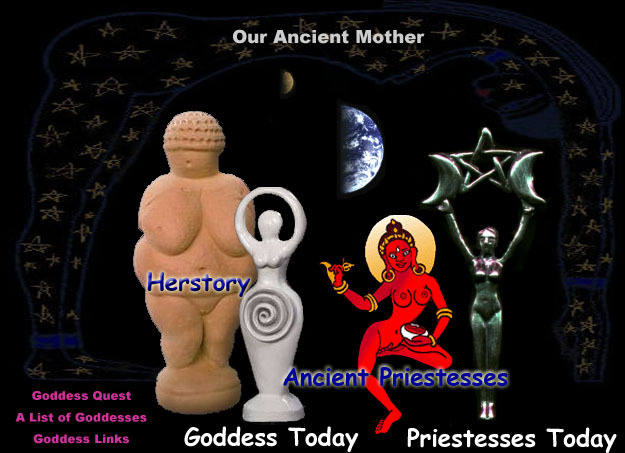 Diana is the mother of wild animals and forests, and a moon goddess. Oak groves are especially sacred to her. She is praised for her strength, athletic grace, beauty and her hunting skills. With two other deities she made up a trinity: Egeria the water nymph, her servant and assistant midwife; and Virbius, the woodland god.